Leave the light on, eh? Are you dimming your inner light for the sake of someone/something else? The thing is, we all are all light, luminous and effervescent beings. We can choose to radiate it, and share it and increase the intensity of the glow in order to bathe us all in that sweet goodness. Or not. But how do we deal with the stuff that cramps our lamp – The haters, the difficult moments, those darn awful days where nothing seems to go right? How do we stay bright and display our true selves to the world when it feels like there are so many ideas and expectations on our shoulders about who or what we should be? Last week was all about getting back to basics and working to keep this area OPEN. Some like to consider this as moving from the heart in everything we do, an extension of the practice we explored in val’s day (week!). How do you choose to immediately unite yourself with that bright stuff? It might be as simple as using a breath technique that connects us to our life force. One pranayama exercise I find useful in these times is alternate nostril breathing, which on many an occasion has helped me to come right on home. Perhaps for you a five minute disco to Iron Maiden does the trick, or putting your legs up the wall whilst laughing hysterically is your bag, or even (my personal fave), sticking a Beyonce video on and letting it all hang out. Whatever it may be, can you implement a shape-shifting , state-shifting technique in order to get back to your essence, your truth and shine brighter? 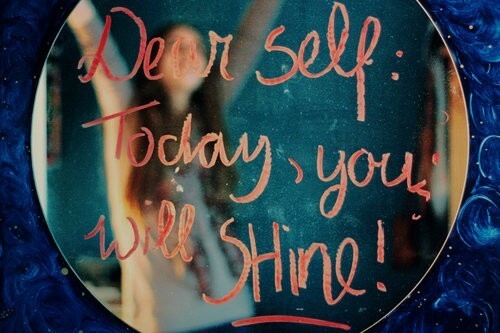 We all deserve to shine. Unapologetically! Go dazzle! Oh! And here’s the Spotify playlist! Bob Hund – Nu Är Vi Här! Nu Är Vi Här! Var Är Vi? This entry was posted in #365yoga, inspiration, music, playlists and tagged alternate nostril breathing, centre, difficult moments, Goethe, light, pranayama, shine, yoga playlist. Bookmark the permalink.